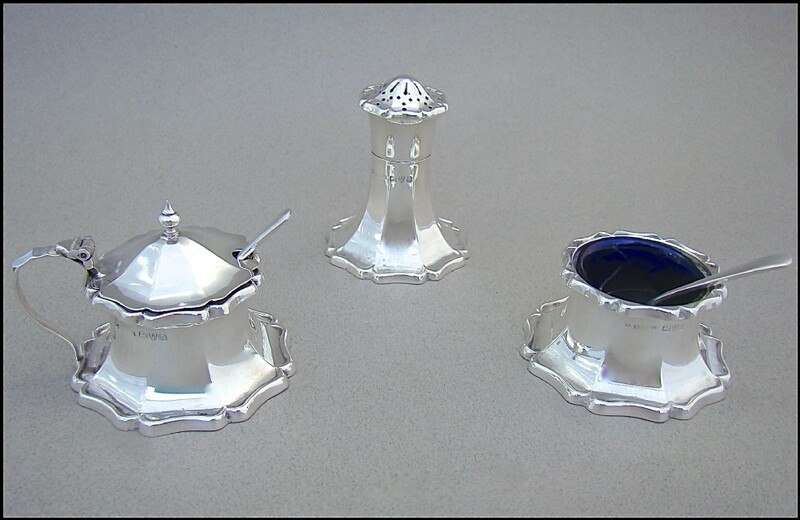 This unusual and very decorative Art Deco silver condiment set was made in Chester 1927 by the prolific S. Blanckensee & Sons Ltd. Each piece with a flared design and shaped circular base. 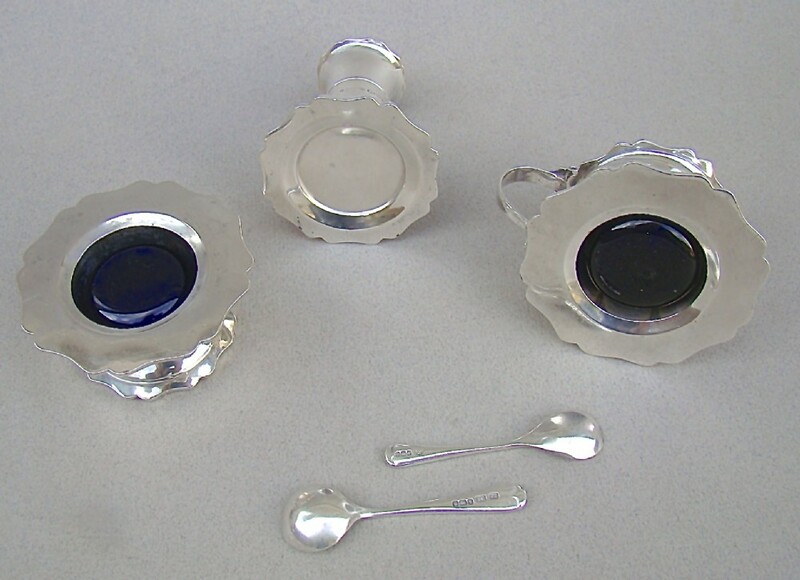 Both salt ands mustard fitted with the original blue glass liners and replacement sterling silver spoons. 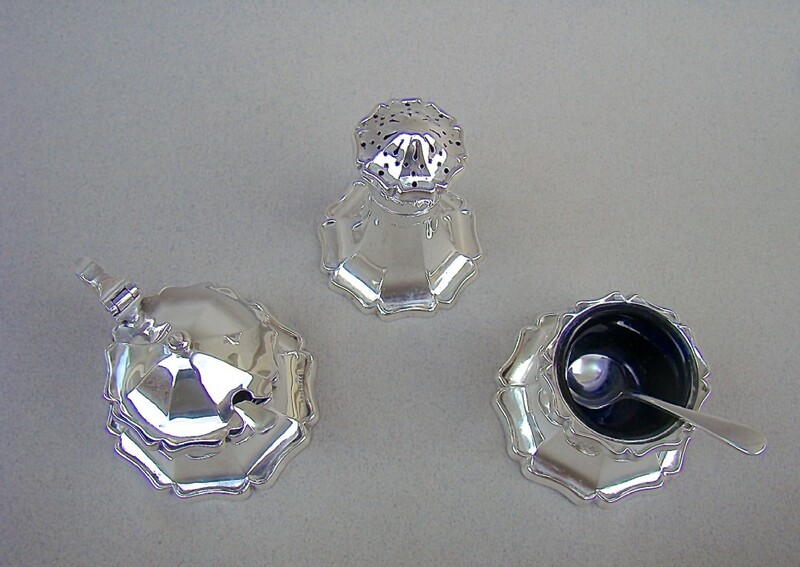 the pepperette with pull-off pierced domed cover. 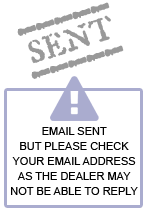 This quirky design was patented, there is a registration mark on each piece. 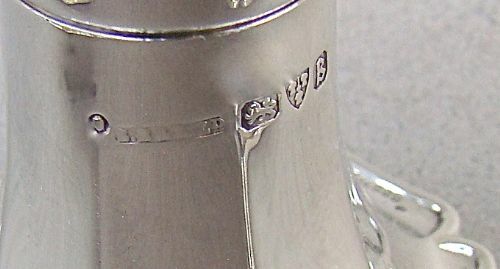 Traces of salt corrosion marks on bases. 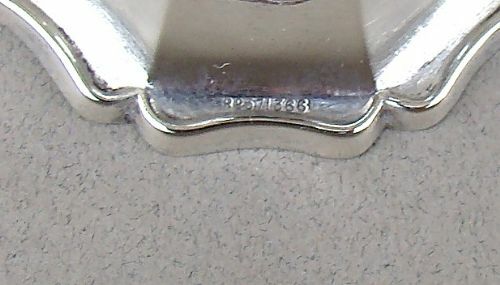 Base Diameter of rim: 5cm / 2 inches. 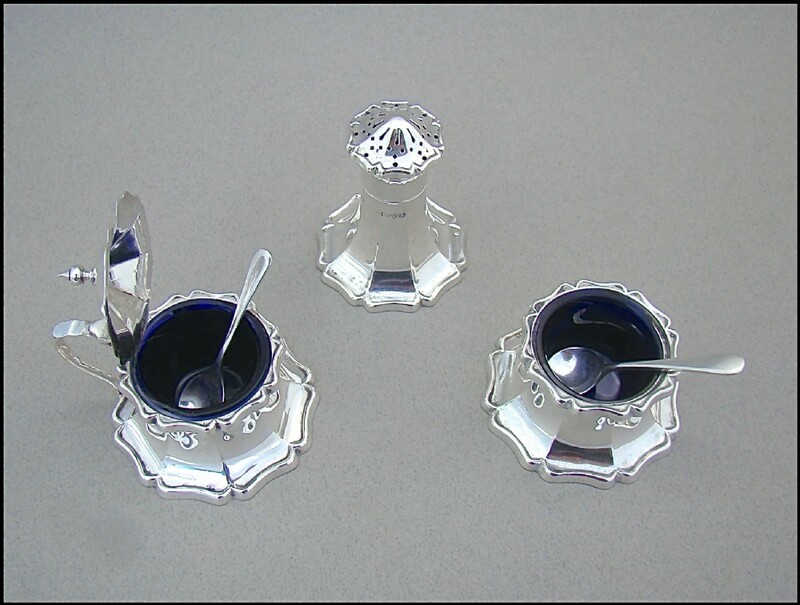 Base diameter: 6cm / 2 inch approx. 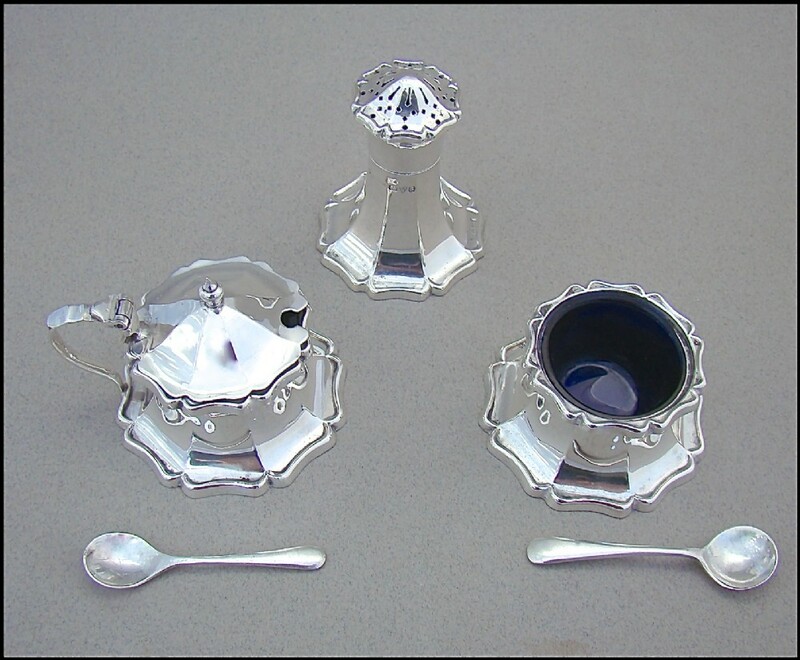 The UNUSUAL ART DECO SILVER CONDIMENT SET BY S. BLANCKENSEE & SONS, CHESTER 1927 has been added to your saved items.